"Do you know MIZUSHIMA? We had serious air pollution in mizushima. The patients suffered by the pollution, a hospital, researcher and Lawyers united, and initiated a trial against companies, which caused the pollution. They won the trial. But their illnesses have not been healed. Even now, pollution did not necessarily finish. 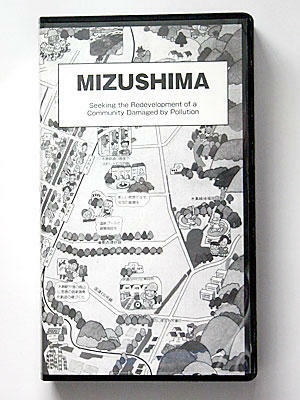 And now, the actions for making Mizushima to be a city of no pollutions and to be a comfortable city have proceeded." （C）MIZUSHIMA FOUNDATION. ALL RIGHTS RESERVED.